Varinder is a Councillor in the London Borough of Redbridge. He is a member of the Redbridge Standing Advisory Council for Religious Education (SACRE), and until recently was Chairman of the Equality and Diversity Advisory Panel. Varinder works for a Whitehall think-tank, specialising in policy engagement with political parties on national defence and security policy matters. Prior to this role he worked as a senior aide for a Member of Parliament. Varinder has been appointed by the UK Government as a member of the UK delegation to the Congress of the Council of Europe. He serves on its Current Affairs Committee and holds responsibility as the substitute spokesperson on cultural diversity and inclusion. Varinder has worked extensively to build constructive engagement on complex issues. He maintains a strong interest in supporting new ideas for conflict resolution, learning and social inclusion. Varinder is a Trustee of the Oxford Research Group and is on the Advisory Board (England) of Tell MAMA. He is a former Trustee of Community Transport Waltham Forest, National Union of Students and University of Hertfordshire Students’ Union. 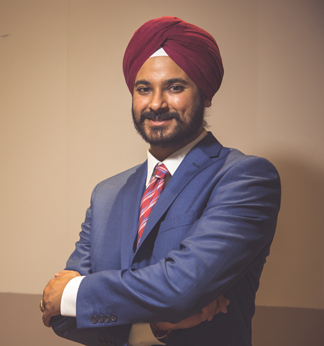 Varinder holds a Bachelor of Science Honours degree in Aerospace Technology with Management from the School of Aerospace, Automotive and Design Engineering at the University of Hertfordshire.